2017 was another record breaking year for RIX with traffic up to 12.9% and 6.1 million annual passengers. Riga International Airport has become one of five most rapidly growing airports in Europe in July 2017. 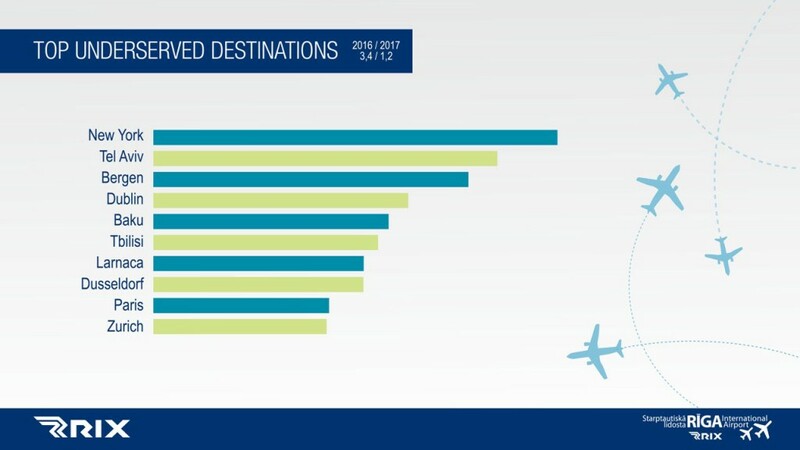 Airport’s growth significantly exceeds average indexes of European airports and also group’s average results. 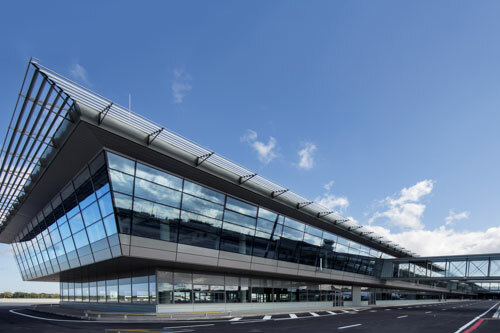 Most competitive airport in Europe in terms of cost and tariff structure per passenger – awarded for ‘Top European Airport Cost Competitiveness Excellence’ by ATRS (Air Transport Research Society). Latvia has one of the fastest growing economies in the EU (1, 6% growth in 1st quarter of 2017). Forecast by Ministry of Finance for 2017 – 3.2% growth. Central location, superior road network and a sea port ensures easily accessible traffic to and from all three Baltic countries, Scandinavia and Germany. Latvia has a unique geography and cultural position, providing a strategic location for business operations targeting developed economies of the EU and emerging markets of the nation’s eastern neighbours. Latvia is a natural gateway between the US, Europe and Asia. 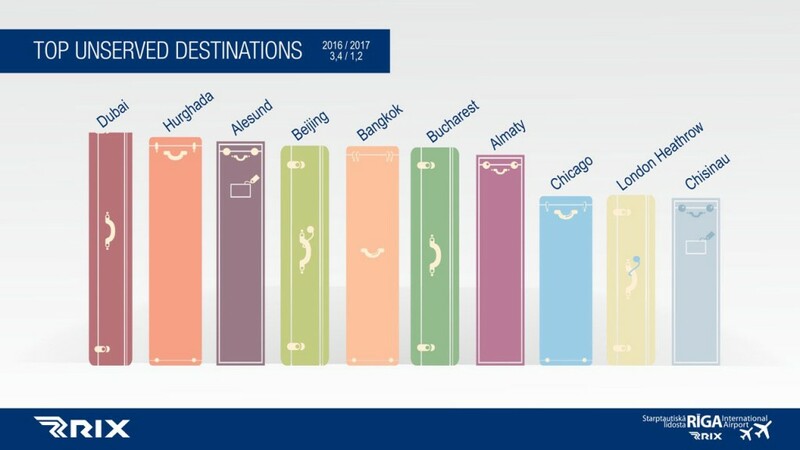 Positive tourism growth. In 2016, 2.3 million visitors were hosted at Latvian tourist accommodation establishments, which was 7.7 % more than the year before. Riga has over 700 art nouveau buildings, more than any other European city. In a study by The Guardian, Riga placed in the top 10 best European cities for art nouveau. Riga is among the most affordable cities to visit in Europe for a weekend break (City Costs Barometer 2016). Riga is very compact, key venues are within walking distance in the city`s centre. In recent years we have seen a continuous development of hotels in Riga and Latvia. 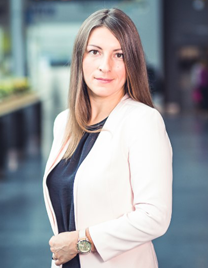 International chains like Carlson Rezidor Hotel Group that already present in Riga, continue to strengthen their position in the market by opening new hotels. Also new luxury chain Kempinski has entered the market in 2017. Post Office Travel Money named Riga the best-value city break for a Christmas market mini-break. Lonely Planet has announced that Latvia is one of the top 10 countries to visit during 2016, and awarded Latvia the high award for Best in Travel 2016. Cape Kolka is the most pronounced horn on the shores of Latvia, and it is where the waves from two seas clash – the open Baltic Sea and the Gulf of Riga. Latvia is home to Europe’s widest waterfall (816 feet) – Ventas Rumba in Kuldiga city. Skyscanner stated Liepaja beach with its white sand as one of the best beaches in Europe. 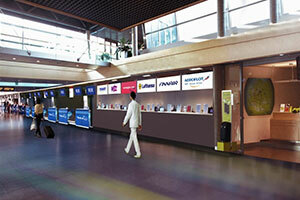 Riga Airport offers all necessary support you need for opening and introducing new routes to and from Riga Airport. 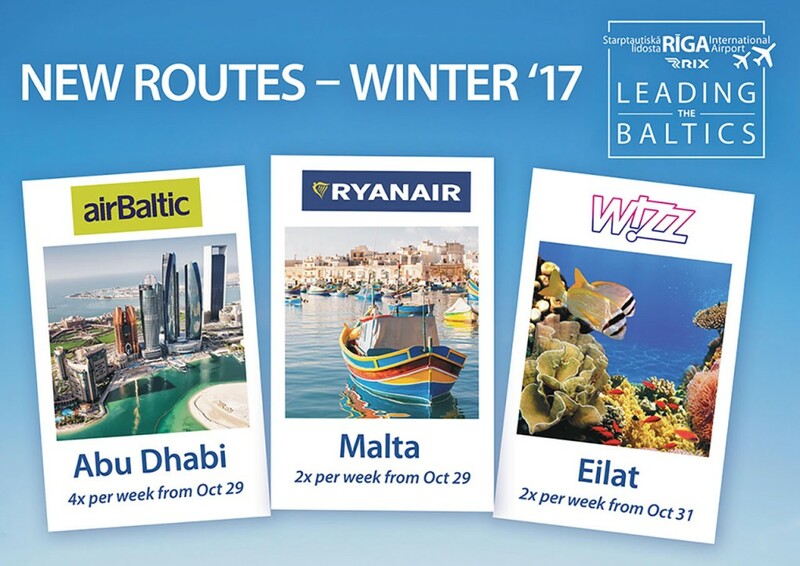 Welcoming route launch event for all new and existing airlines. Press conference, media invitation and press release distribution. Free advertising opportunities within the terminal. Free advertising on RIX webpage. We offer surprisingly good quality service for reasonable money. Click here to download RIX Airport Charges in PDF format. In fact, we have the lowest airport charges in the Baltics. 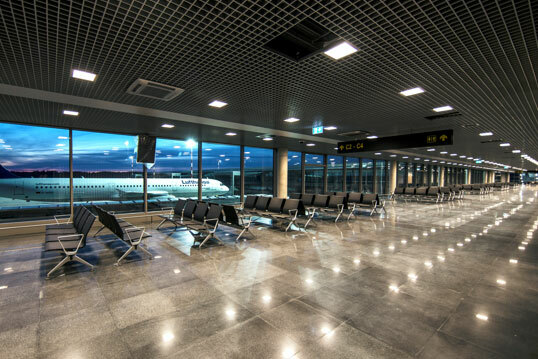 RIX is the only one airport in Baltics located within a 300km radius of all three Baltic capital cities (Vilnius, Tallinn and Riga) whilst much of Vilnius and Tallinn’s catchment areas are lost to the Baltic Sea and the boundaries with Russia/Belarus. The number one airport in the Baltic States – Riga International Airport is here for all your cargo solutions! Latvia is the first and last border for EU and Russia/CIS countries, which provides excellent opportunities for cargo flows as RIX provides access to Baltic Sea Region from a very cost effective base. In 2016, Riga Airport handled 44 % (+ 5 %) of all cargo in the Baltic States. 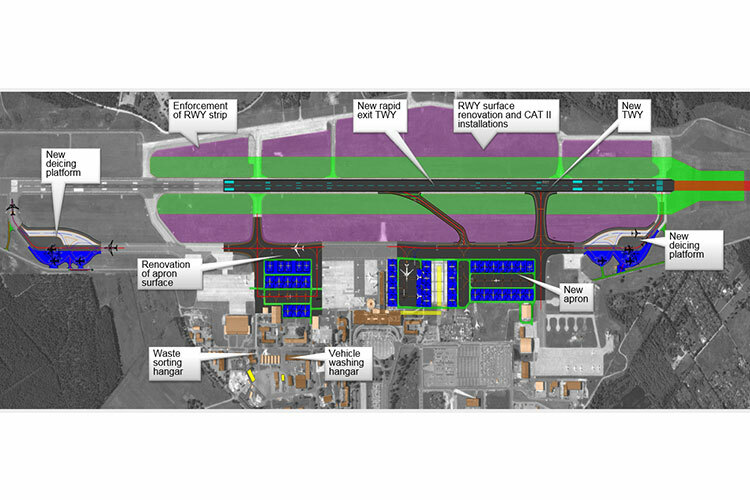 RIX offers competitive handling costs and a modern airport infrastructure. Riga International Airport is the airport of Riga, the capital of Latvia, and the largest and central airport in the Baltic States handling all aircraft types without restrictions. Multi-modality (by air, sea, road or rail). Fast direct access to Eastern European and Scandinavian markets. Border & customs checkpoint – open 24/7. More than 5000 m2 of indoor storage space and more than 10 000 m2 of outdoor storage space with concrete pavement. veterinary, dangerous goods, equipment, oversized cargo etc. Rapid transportation of cargo to and from the aircraft. Storage of cargo in secure locations. Choice of experienced and professional cargo handlers. Handling time of B747 (inbound and outbound cargo) approx. 2.5h. Weekly capacity up to 50 B747 cargo aircraft. Reserves for ad hoc refueling 6000m³. Distribution of fuel within the airfield is through an underground hydrant system. To gain more information, please visit our website. Riga International Airport serves the capital of Latvia, Riga, and it is the largest airport in the Baltic States. The airport is located 11 kilometres from the city centre. The airport is conveniently connected to Riga via the A10, A8 and P133 motorways, a journey of approximately 15-20 minutes. Local and shuttle buses run regularly from the terminal to city as well as constant taxis. Getting to and from Vilnius, Klaipeda, Tallin, Warsaw and Minsk ensures international bus services that run from the airport. One runway (18/36), 3,200 metres, CAT II. Operating hours: 24/7 – No curfew. Riga International Development Project 2013-2015, the €93 million project included: the renovation of the upper layer of runway pavement; reinforcement of the runway landing zones; construction of two new taxiways; new airfield lighting system to comply with category II requirements; reconstruction of aprons one, two and three; construction of two de-icing fields; construction of a rainwater disposal and airfield drainage systems; new vehicle washing and waste disposal hangars; new airfield fire station; acquisition of equipment for security measures and air rescue. 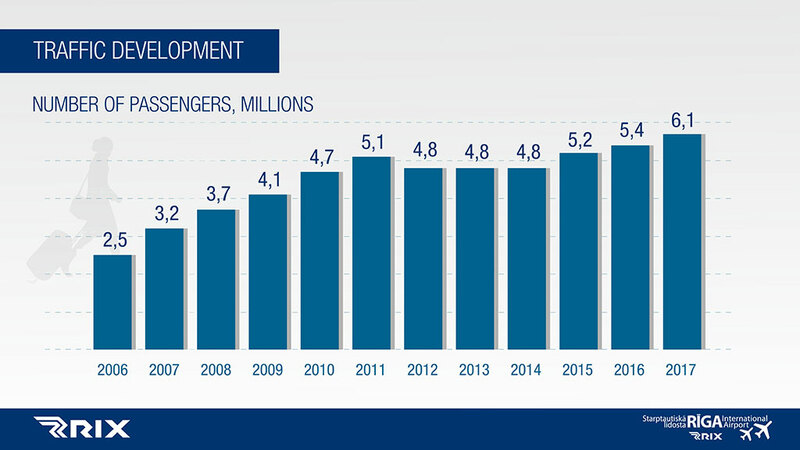 Passengers: 6.1 million in 2017, a record year and a 12.9 % growth on the total of 2016.